NEL attended the ADIPEC (The Abu Dhabi International Petroleum Exhibition & Conference), 13-16 Nov 2017 as part of SDI (Scottish Development International) pavilion. This is one of the largest and most influential oil and gas industry exhibition and conference and NEL had the opportunity to introduce the LNGIII project to many key participants through one to one discussions. NEL also attended Kuwait 3rd Flow Measurement Technology Conference held between 19th and 21st Nov 2017. An overview of the LNGIII project was presented by Asaad Kenbar. The presentation covered a brief introduction to EMPIR, objectives of LNGIII, approach to achieve these objectives, brief description of each work package, test programme and progress to date. 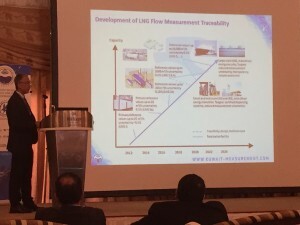 The presentation highlighted the significant contribution of the EMPIR project to the development of measurement traceability for LNG and the long-term vision to achieve this traceability for LNG custody transfer applications. 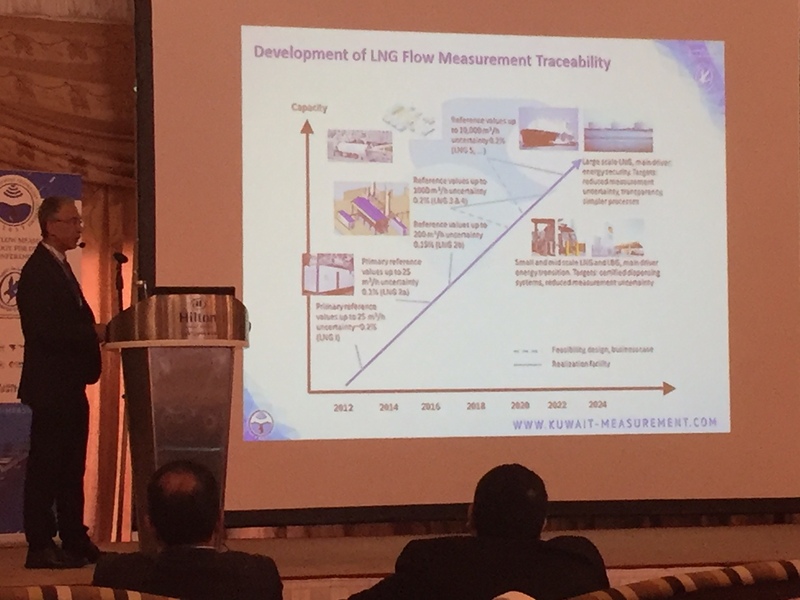 It also highlighted the importance of this work to develop the required reference measurement systems and generate supporting data to enable the development of the new international standard for LNG dynamic flow measurements under ISO TC28/WG20A. Attending and presenting at these two events have attracted many interesting questions and reinforced the importance of EMPIR support to address the EU’s Grand Challenges and to progress fundamental measurement science.